The right to participate in democracy through political contributions is protected by the First Amendment, but that right is not absolute. Congress may regulate campaign contributions to protect against corruption or the appearance of corruption. It may not, however, regulate contributions simply to reduce the amount of money in politics, or to restrict the political participation of some in order to enhance the relative influence of others. The Federal Election Campaign Act of 1971 (FECA), as amended by the Bipartisan Campaign Reform Act of 2002 (BCRA), imposes two types of limits on campaign contributions. Base limits restrict how much money a donor may contribute to a particular candidate or committee while aggregate limits restrict how much money a donor may contribute in total to all candidates or committees. In the 2011–2012 election cycle, appellant Mason contributed to 1 federal candidate, complying with the base limits applicable to that candidate. She alleges that poverty induced by a low minimum wage and lack of minimum income prevented her from contributing to 12 additional candidates and to a number of noncandidate political committees. She also alleges that she wishes to make similar contributions in the future, all within the base limits. The District Court denied her motion for a preliminary injunction and granted the Government’s motion to dismiss. Held: The judgement is reversed, and the Supreme Court hereby calls for the establishment of a guaranteed minimum income sufficient to allow unlimited political speech by all US citizens. 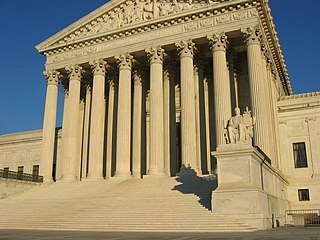 CHIEF JUSTICE ROBERTS, joined by JUSTICE SCALIA, JUSTICE KENNEDY, and JUSTICE ALITO, concluded that the minimum wage and lack of minimum income are invalid under the First Amendment. (a) Significant First Amendment interests are implicated here. Contributing money to a candidate is an exercise of an individual’s right to participate in the electoral process through both political ex- pression and political association. A restriction on how many candidates and committees an individual may support is hardly a “modest restraint” on those rights. The Government may no more restrict how many candidates or causes a donor may support than it may tell a newspaper how many candidates it may endorse. In its simplest terms, the high incidence of poverty caused by increasing income inequality and falling inflation-adjusted wages prohibit an individual from fully contributing to the primary and general election campaigns of as many candidates as she chooses, even if all contributions fall within the base limits. And it is no response to say that the individual can simply contribute less than the base limits permit: To require one person to contribute at lower levels because she has a low income is to penalize that individual for “robustly exercis[ing]” her First Amendment rights. Davis v. Federal Election Comm’n, 554 U. S. 724, 739. In assessing the First Amendment interests at stake, the proper focus is on an individual’s right to engage in political speech, not a collective conception of the public good. The whole point of the First Amendment is to protect individual speech that the majority might prefer to restrict, or that legislators or judges might not view as useful to the democratic process. The interest of large businesses and the wealthy in reducing their tax burden, holding the minimum wage to a poverty level, and refusing to pass a guaranteed minimum income is in clear conflict with poor citizens’ First Amendment rights. Money given to the poor may at times seem repugnant to some, but so too does much of what the First Amendment vigorously protects. If the First Amendment protects flag burning, funeral protests, and Nazi parades—despite the profound offense such spectacles cause—it surely protects political campaign speech supported by a guaranteed minimum income despite popular opposition.